A North East recruitment firm has attracted new investment from private funders to help the business reach its full potential. 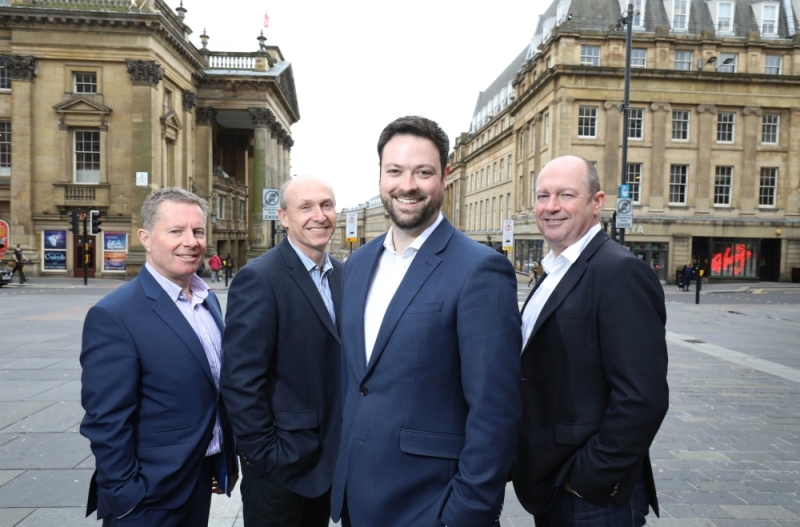 Newcastle-based Edward Reed Recruitment has welcomed SquareOneLaw founding partner, Alan Fletcher and financial director and entrepreneur, Colin Wilson into the business to join Edward Reed’s managing director, Chris Stappard and director, Ian Lewis as shareholders. Founded in 2015, Edward Reed is an independent firm which specialises in mid to senior level management recruitment across the finance, HR, operations, sales and marketing and IT sectors. Having enjoyed early success making high-profile placements for well-established North East businesses such as Fentimans, the firm’s directors are ready to take the business to the next level. “This is the start of an exciting new chapter for Edward Reed,” Chris said. “From our inception back in 2015 to now, we have grown the business organically and established our position within the North East’s recruitment sector but now we are ready to really up our game. “The investment Edward Reed has acquired from its new shareholders will enable us to build our brand further and hopefully expand into new markets. To further reinforce the business’ plan for expansion, Edward Reed has recently moved into a new office space within Newcastle’s trendy Campus North complex and is looking to grow its team imminently, creating five new roles within the business. “We’re not holding back!” Chris added. “Bringing new talent into Edward Reed is a key priority for us and is something which is firmly on our agenda for the foreseeable. “I’m delighted to have joined the team at Edward Reed Recruitment. “I was hugely impressed by Chris and Ian’s vision for the business and their tenacity to see it reach its full potential. Edward Reed prides itself on its personal, flexible approach to recruitment, where staff take the time to understand clients’ and candidates’ needs in order to make perfect placements.